A young DAP leader in Penang has complained of a third round of attacks by individuals and organisations which she claimed aimed to "demonise and mar her reputation". 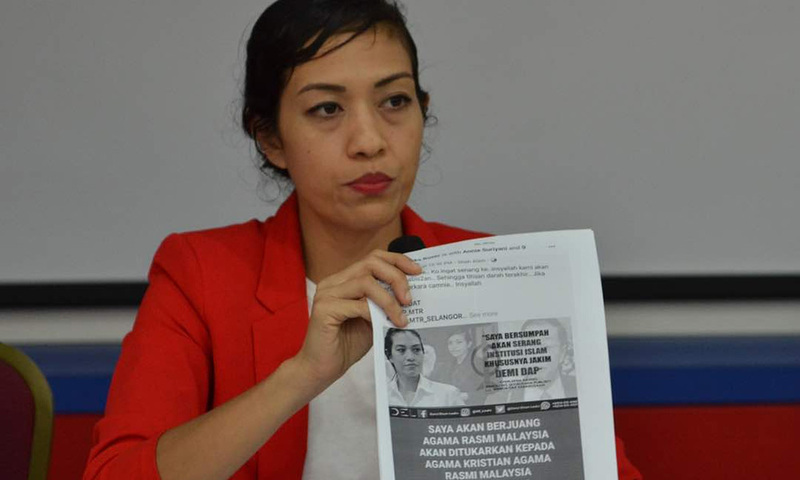 Syerleena Abdul Rashid, who is DAP Wanita national assistant publicity secretary, said these malicious people have labelled her as “anti-Islam”. She conceded that this is nothing new for Muslims who are not affiliated with the mainstream right. She said she has also been labelled as “a traitor” although this is expected of Malays who seek just treatment for all Malaysians irrespective of race, religion and gender.